I love tea! All types of tea, at all times of day, with any and all of the traditional tea accompaniments: tea sandwiches, bread and butter, little cakes, crumpets, scones… Let’s start with scones. 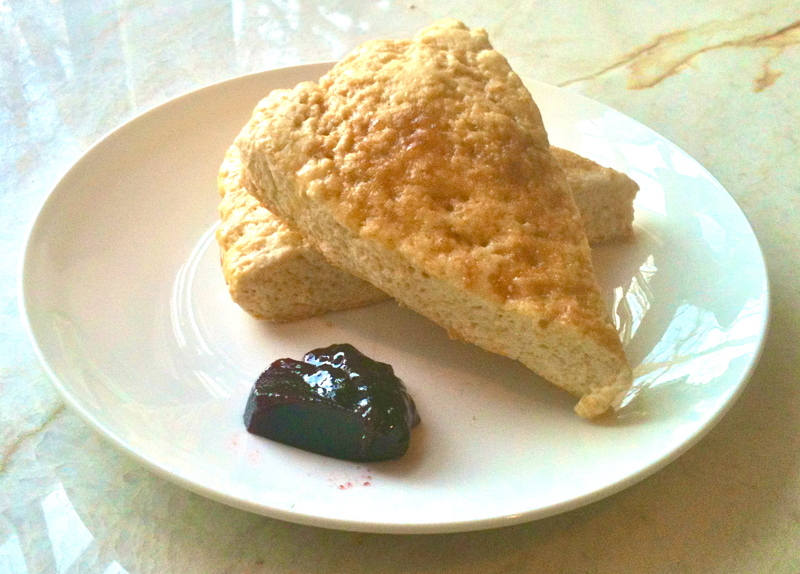 A good scone has a somewhat dense but still fluffy texture and a touch of sweetness that pairs well with black tea. These scones have a little bit of crunch on the outside and a tender inside. They’re light as a cloud! Combine flours, salt, baking powder, sugar, cinnamon, and ginger in a mixer or food processor. Add butter and mix until combined, but still clumpy. Add 1 egg and the cream and mix until starting to hold together. 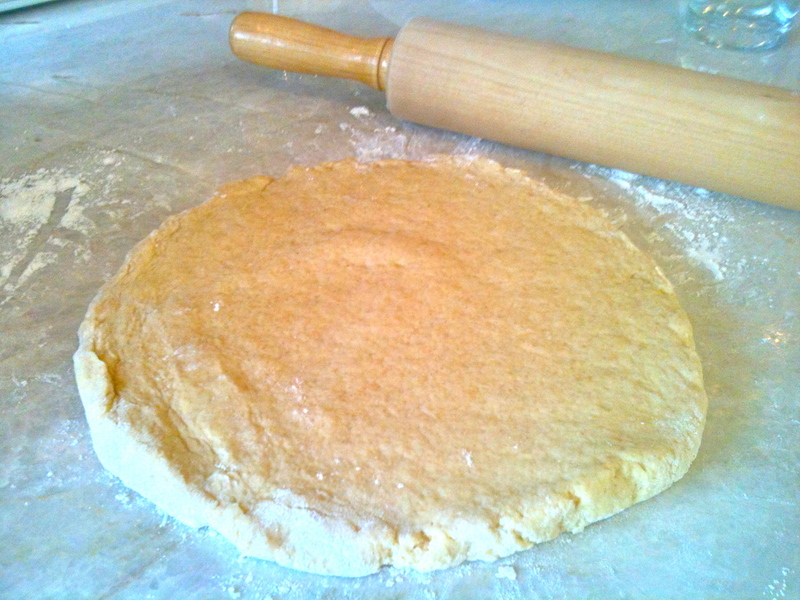 Knead the dough a few times on a floured surface until it holds, and form it into a ball. Roll it out into a disc about 3/4 inch thick. Cut the dough pizza-style, into 8 triangular pizza-shaped slices. 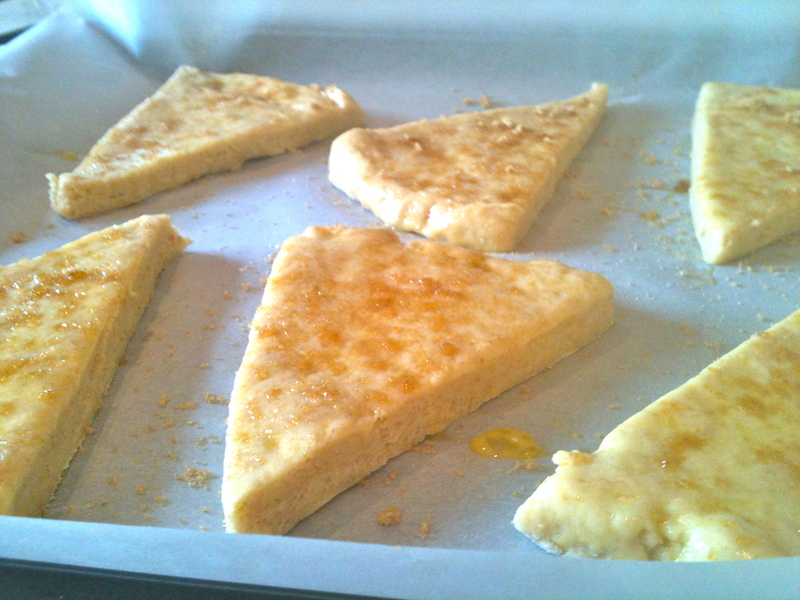 Place the slices on a baking sheet lined with parchment paper. Beat the remaining egg and brush it over each slice. Then sprinkle them with brown sugar to taste. Bake for 14-18 minutes, until firm on the outside and starting to brown on the bottom. Serve warm, with jam and butter. Or clotted cream, yum. And don’t forget the steaming pot of tea! Previous Apple Cinnamon Coffee Cake. Next Asparagus with Hard-boiled Egg Dressing.